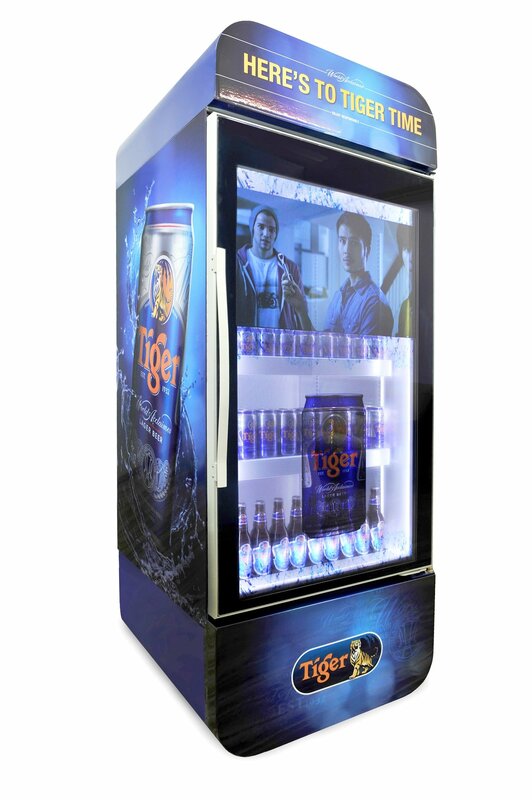 A first of its kind Multimedia LCD Chiller was launched by Singapore’s internationally acclaimed Tiger Beer, for its packaged beer in 7-Eleven stores – aimed at engaging consumers and enhances their overall purchasing experience. The chiller is built with a 47-inch transparent LCD embedded in its sleek glass door and will serve as a digital media platform for the brand to broadcast on-going advertisements and in- store promotions directly to patrons of 7-Eleven. 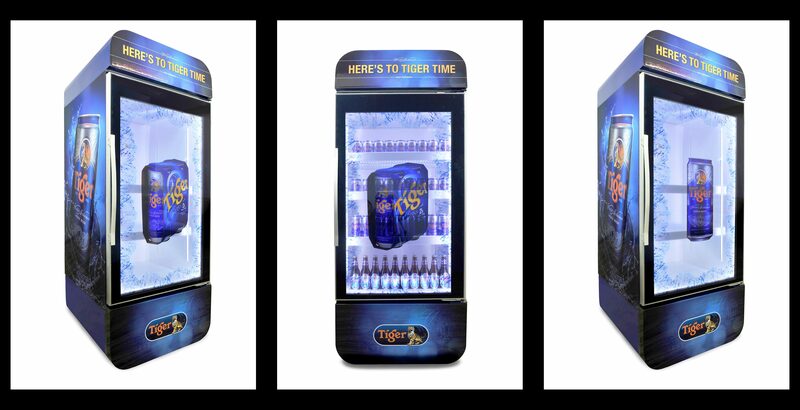 With a Full High-Definition (FHD) display, it allows Tiger Beer to engage consumers in its latest brand campaigns. Created by award-winning company iDisplay Systems, the first chiller has been introduced in the 7-Eleven outlet at Marina Bay Sands – at No. 2, Bayfront Avenue #01-74/76 The Shoppes at Marina Bay Sands S(018972) – before a nationwide rollout to 19 other selected 7-Eleven outlets. Tiger Beer, brewed by Asia Pacific Breweries Singapore (APBS), is one of Singapore’s most recognised icons globally. As a leading home-grown brew, Tiger Beer is currently brewed in 11 countries and is available in some 60 countries in Europe, the US, Latin America, Australia and the Middle East. Tiger Beer has been winning global acclaim through the years. In its 80-year history, the brew has picked up over 40 international accolades and awards. The most notable include the Gold Medal at the Brewing Industry International Awards, UK, 1998 and more recently, the Gold Medal in the International Style Lager category at the 2010 World Beer Cup, often referred to as ‘The Olympics of Beer Competitions’ by the industry. This is the second recognition Tiger has received at the same competition, where it last won the Gold Medal in the European-style Pilsner category in 2004. Through its close involvement in sports, dynamic brand campaigns and innovative sponsorships, Tiger has positioned itself as a leading contemporary beer brand across the world. Tiger Beer has become a recognisable and sought-after premium beer and was named UK Cool Brand Leader in 2004, 2005 and 2006. All Trademarks mentioned in the article belong to their respective owners and the Brand names are mentioned or included for identification purposes only.